Hi friends! 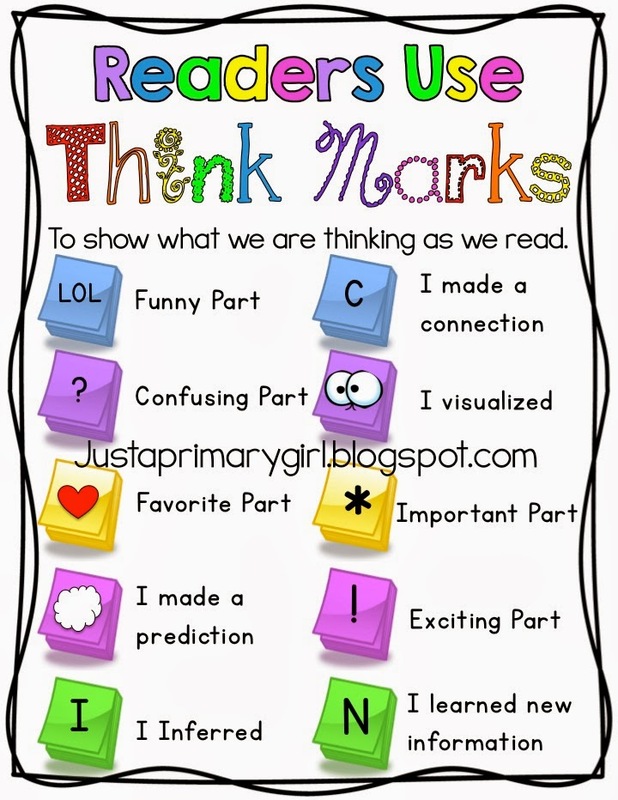 I wanted to share my readers use thinkmarks poster today. 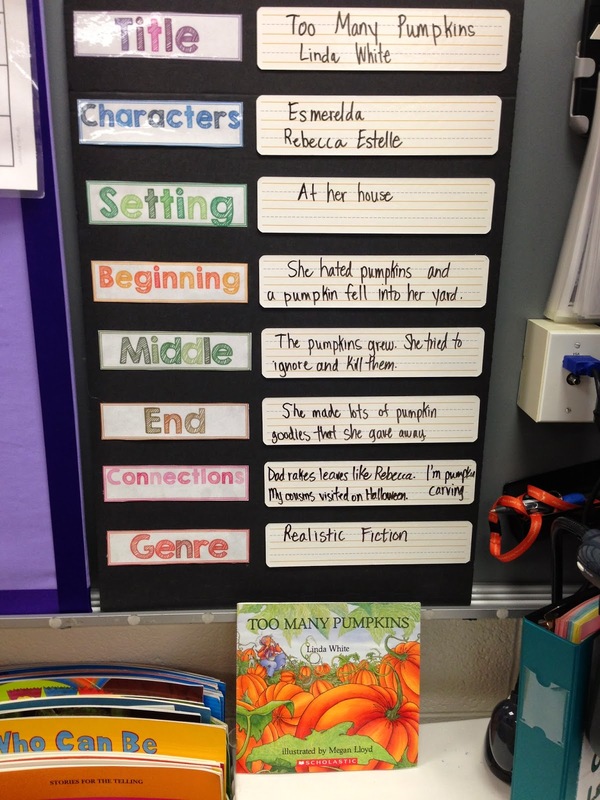 This is something my students really enjoy doing during guided reading or even independent reading. This allows them to jot down their idea, but not interrupt me. We have a different focus each month and last month was making predictions, and this month is making connections. 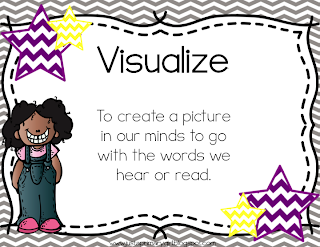 We also cover visualizing, and inferencing as well. We cover a ton of things each month, but these are our focus! I just love teaching them. I love read alouds and would do it all day if I could. I wanted to see if I could show them think marks. So I whipped up this chart with them. I left out the ones that are blank because we haven't learned those skills yet. So as we learn, I will add more to it. 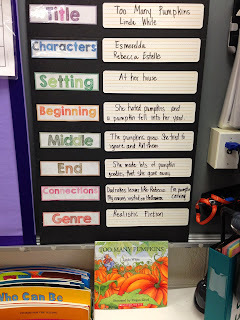 I sent each child to independent reading and read to self that day with one sticky note. All they had to do was use one. I didn't want them using a whole pack because then it is work on writing instead of reading! They were so excited. I had one girl read her same book twice with nothing. I asked why she was reading her book again, and she said " I only have one sticky note, I want to make it a good one". Gosh I love first graders. Here's the thing. 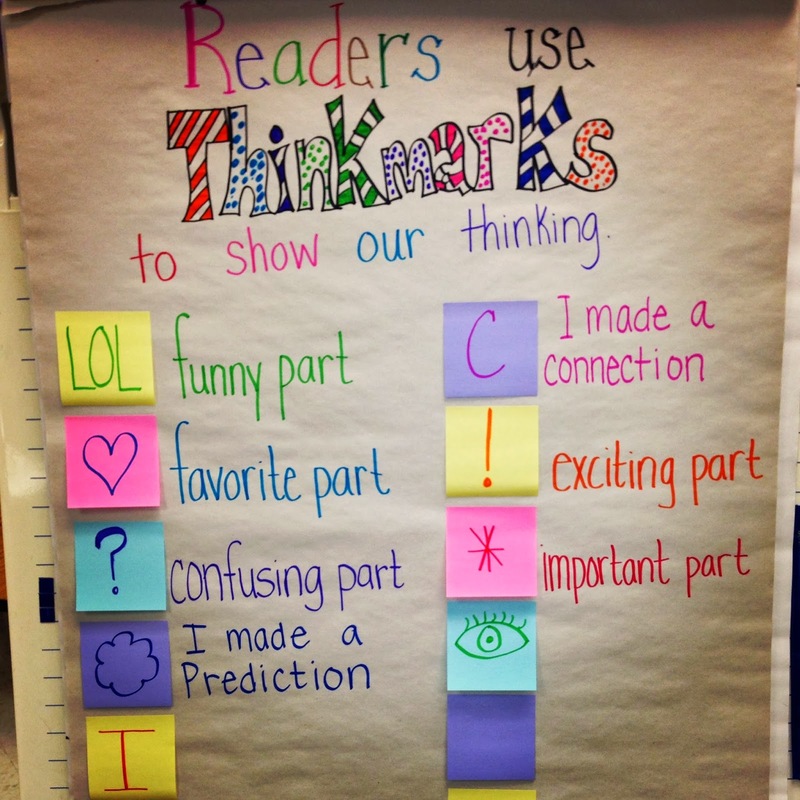 In order to use the think mark, you had to be able to explain WHY you chose it. If you chose LOL that is great, but what was so funny about it? If you chose prediction - you had to say what you predicted and if you were correct initially or if you had to revise your thinking. The best part was that there were kids with "C" written on their sticky, and even better * and ?. I let them know if they had those they had to explain. 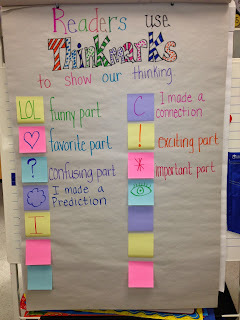 During snack, I had them all take out their book, and we went around to share our think marks. One kiddo said "C" because she didn't know that Penguin babies were with their dads and are 4 feet tall. (I was beaming with pride for her) she said it from her memory - then opened the book to the page to share with everyone. One little boy had a Henry and Mudge book and had an (!) - he said that it was exciting because Henry and Mudge were cracking the code of the lost cookies! HOW CUTE! Kids were using the vocabulary "I made a connection, I predicted, I thought so and so was funny BECAUSE". It was truly amazing to hear their thinking and even my lowest readers were able to put something down - even if it was a favorite part! I will eventually not have every kid share during snack, but not until I know that they have it down for what they are supposed to be doing and explaining. I will have the kids partner up and share so it is over fairly quickly. They want to talk about their books, but need guidance on what they can share!! 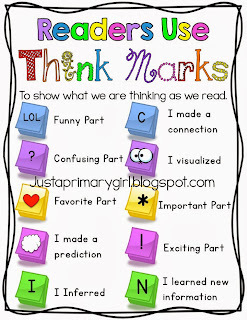 I decided that once we learn all of our think marks, I will blow this up and put it on my wall. 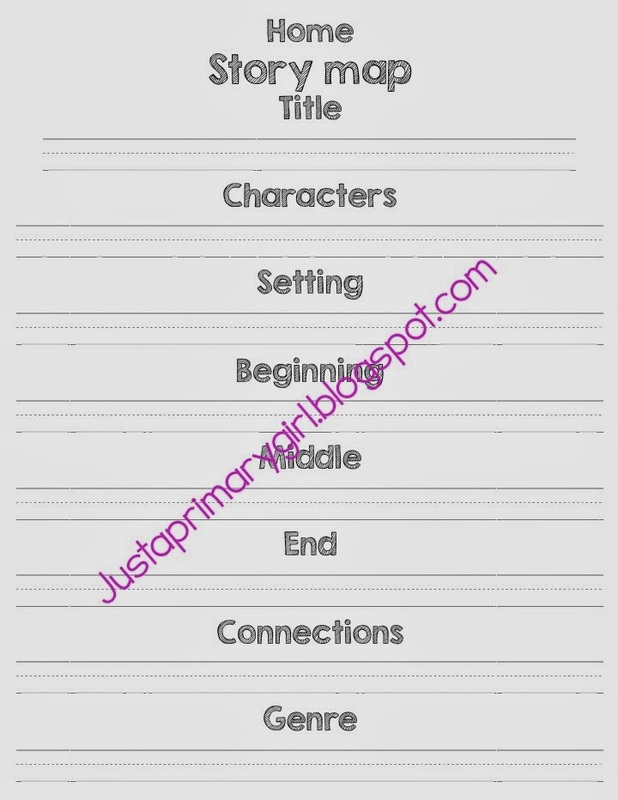 I will also print a smaller one for them to keep in their readers notebook, along with a bookmark with the other side being their reading strategies bookmark. I also sent this home with parents with a dry erase marker and and sheet protector and said to have them do this after they read to or listen to their child read. This is my focus wall. 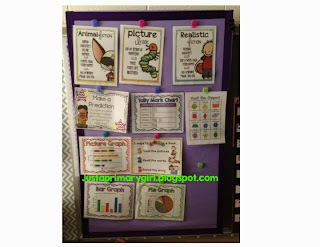 This is the size of a regular bulletin board - Each day we focus for just five minutes on a couple of these things that we have covered in the month! I use panel wall clips so that the holes are only put in once and I never pull them out - allowing me to use this board for years to come. The kids love going over this board because they know all the answers!!! I only made the make a prediction sheet. 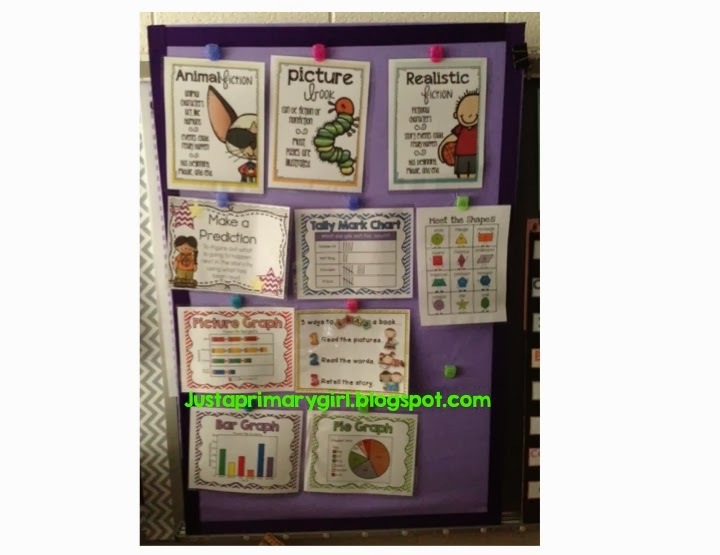 The tattooed teacher made the reading strategies posters and the charts and graphs poster pack was free from here. 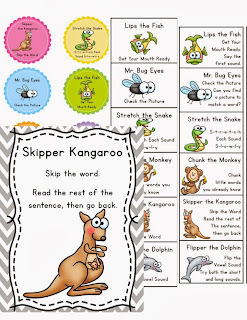 I created these reading strategies along with bookmarks to use during guided reading and for them to use during read to self or independent reading. Click on any picture to snag these babies for only a buck a rooney! 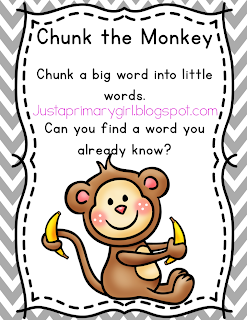 An example of one of the posters and the bookmark types. 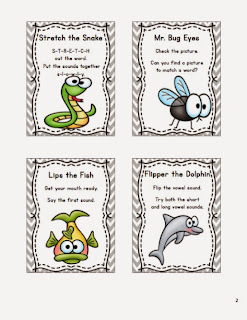 They go with my reading comprehension posters that you can find here for just a dollar! I like your charts! Are those whiteboards on that one chart? I really like your Think Marks chart. 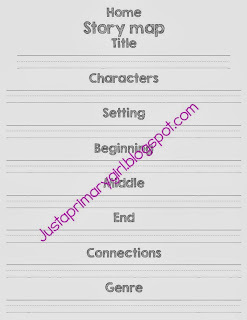 I bet the kids love the idea of the "text-like" codes too! Great idea! 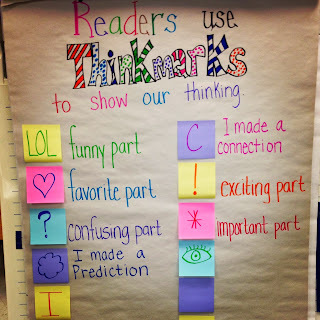 I've used Thinking Marks! The kiddos just love having a little stack of sticky notes to use up. 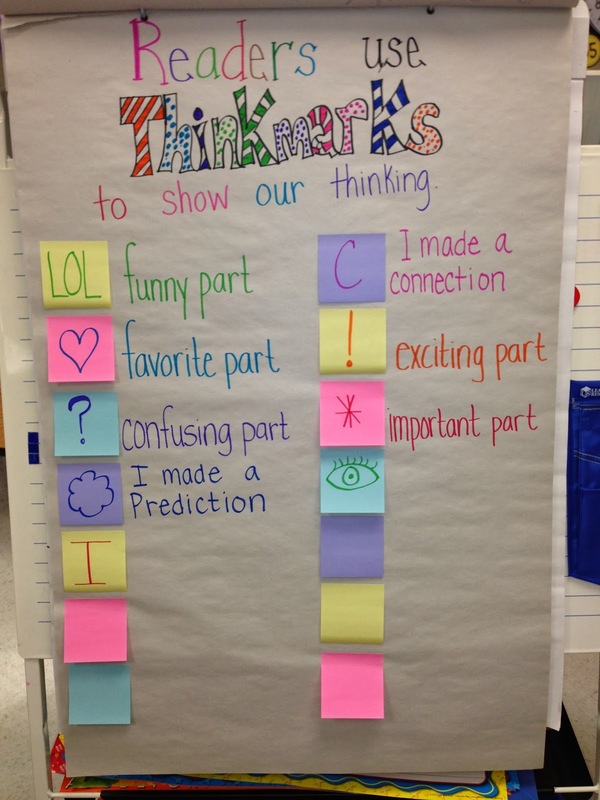 Love your idea of creating an anchor chart to go with them. :) Thanks for sharing! I love using sticky notes during reading! Your bows turned out adorable!